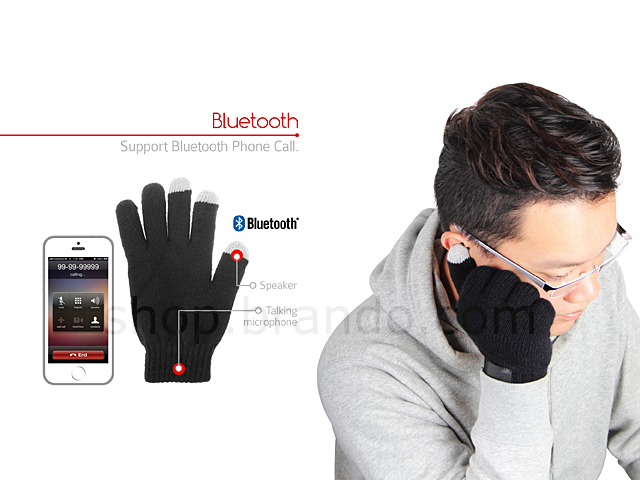 Hello Gloves is a pair of wool gloves features Bluetooth headset with microphone. 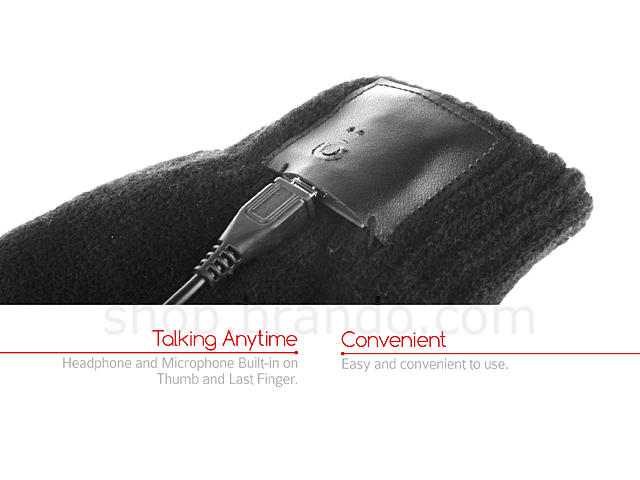 The appearance is designed like a pair of normal wool warming gloves, built-in two buttons on the wrist, headphone and microphone are amazingly built-in on thumb and last finger respectively. It works just like a Bluetooth headset. Turn on the on/off switch which are built-in on the wrist, your phone will be connected to the gloves in a few seconds when the blue lights are on. It accepts the best signal within 10 meters. 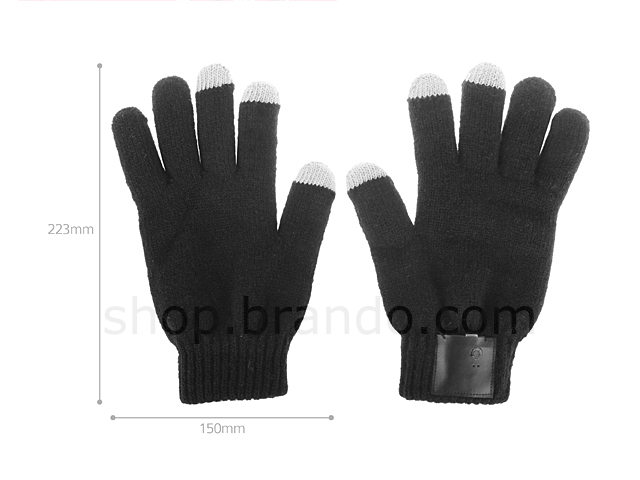 Also, Hello Gloves interacts with touch screen devices, such as iPhone, iPad, iPod Touch and other touch screen digital devices. 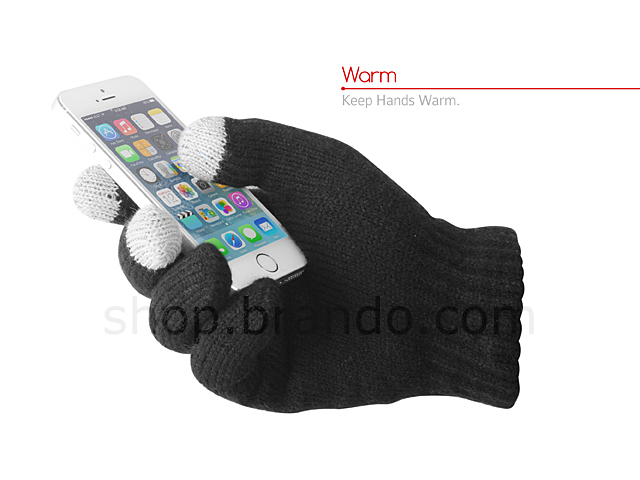 You can make phone calls, play games or browsing without having to take off the gloves in the winter.